A trusted company that has created the healthiest and safest formula. Thousands of babies are thriving on these wholesome formulas, and we feel certain that your little ones will, too! "Holle Organic Formula Stage 2 Big Kit"
Stage 2 is made from organically grown and derived ingredients. Unlike most American formulas, Holle Organic Infant Formula 2 is produced without using any toxic substances. No pesticides, no chemical fertilizer, no chemical madness. And of course - genetically modified or synthetically derived ingredients are completely banned! 10 out of 10 parents that switch to Holle say their babies seem happier! 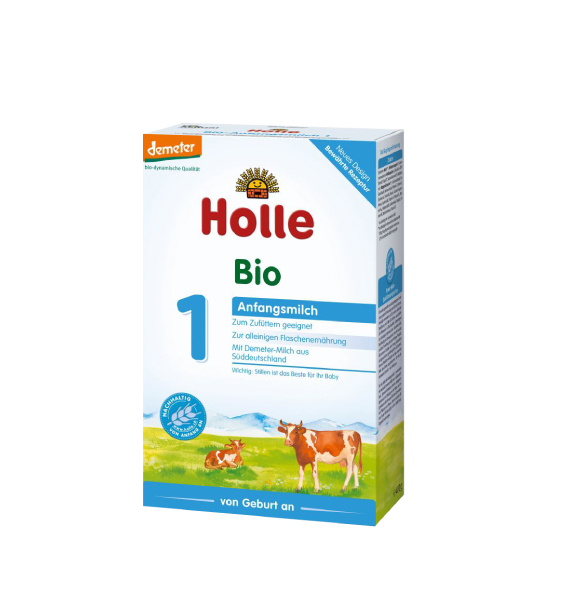 The thing that makes Holle most unique is that it uses milk from cows raised on biodynamic (Demeter) farms in caring and natural environments. These farms must strictly adhere to EU organic regulations and, moreover, to the even more stringent international Demeter regulations. Choosing a formula for your baby is one of the most important decisions you can make in the early months of your baby’s life. Our responsibility as consumers is to know where our food comes from and what implications it has for animals, the environment, and our health. Feeding Organic Formula that is produced responsibly and thoughtfully makes us feel good physically, mentally, and emotionally. Now that’s what we call a win-win! Thousands of babies are thriving on this wholesome formula, and we feel certain that your little ones will, too! Related links to "Holle Organic Formula Stage 2 Big Kit"
Formula is amazing for my 7 month old! I was extremely nervous about introducing formula to my exclusively breastmilk fed baby. I had heard horror stories of babies being sensitive to this formula and allergic to that formula and having to go through multiple types to find the one that worked for their baby. I heard amazing things about Holle and I liked what I saw when researching and comparing it to other brands online. I loved that it was organic and had no high fructose corn syrup like every American brand and didn't have any of the extra dha and ara which I learned was made from some kind of fungus and was not proven to be beneficial anyway. I slowly introduced it to my baby and didn't notice a single sensitivity or negative side effect. I'm so grateful that I found this magical formula to supplement with. It made me feel less guilty about my supply decreasing knowing I was feeding him the next best thing. Thank you Holle! packing is really neat and secure. shipping and handling is very prompt. thank you. This formula is the best. Our twins have been taking them since one month old. They are very healthy. We are very happy for the high organic quality of Holle formula. My grandson drinks it right down and we are all happy to think that he is getting excellent nutrition from well-cared for animals and a healthful environment. My twin babies love this formula. They started from Holle 1. Now it's time to move on to the next stage Holle 2. I'm going to order again because they love this formula and this is the best quality formula for babies. Good product, tried other organic ones in US, super sweet and my baby wouldn't drink it. She loves this one! Will order again. Great formula, our baby loves it! Great packaging and fast shipping.! The package arrived on time and un-broken. We've ordered from other vendor before, packages sometimes broke and sometimes missing boxes of formulas. We're going to continue to order from you. Our babies love this formula! They have not had stomach/gas problems since switching them to it. 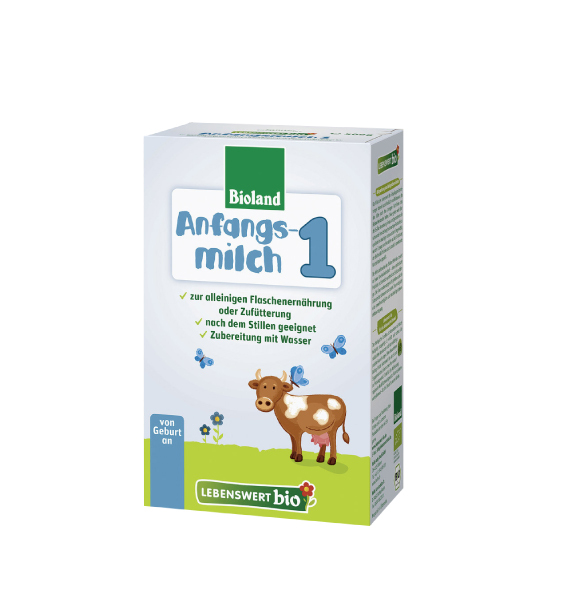 My baby likes it, i have tried other milk and he wouldnt want any other, and i feel good to give him organic milk after 8 months of breastfeeding. We know receiving your shipment in a timely manner is important to you because hungry babies can’t wait! Therefore, your order will ship out same or next business day to make the shortest delivery times possible. Super fast delivery within 1-3 business days! Your order has priority when leaving Germany via airport and will be processed by DHL Express. You can receive up-to-date shipment information by email or SMS. Additional cost: just $40! 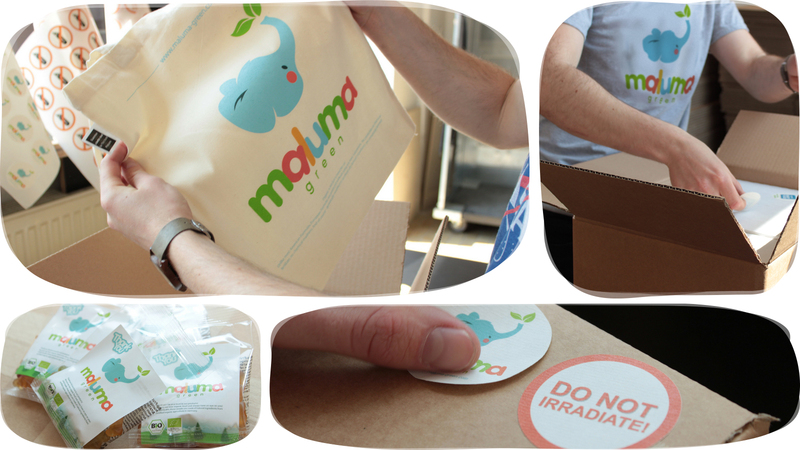 Reliable and environmentally friendly shipping (100% climate neutral) with parcel tracking. Depending on your local postal service, it will take approx. 2-3 weeks to be delivered. Yes, it's free! Your package take approx. 10-15 business days to arrive (depending on your local postal service). The parcel has priority when leaving Germany via airport and will be processed by your local postal service with priority too. You can choose this shipping method for just $30. Our extra layer of security covers your order in case of physical loss while transit. Shipping Insurance is included for all orders! Your package has a long way to go so we pack it very carefully to make sure that it arrives in good condition. 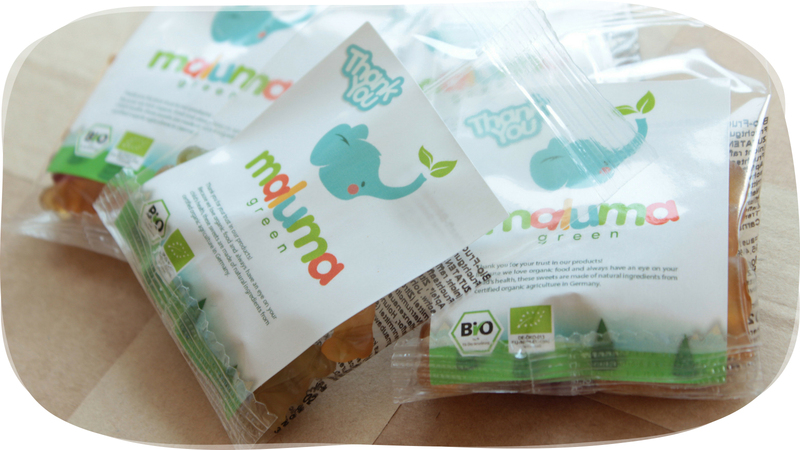 We include a bunch of free samples from Holle and vegan gummy bears. Sweet! Please note that this shipping times are based on our experiences and can't be guaranteed. Because of customs authorities or your local postal service, in very exceptional cases delivery time might take longer. Free shipping is available from $99. Where can I track my parcel? For more detailed information you can track your parcels also here: US buyers via USPS and Canadian buyers via Canada Post. How do I contact you if I have questions with shipping? Feel free to contact us by phone or simply answer one of our mails. You can also send your request to service@maluma-green.com or click here! Our service team will respond very soon to assist you: without any complications and whenever you need us! Just compare this Ingredients to any American formula.